If you’re a Muggle between the ages of 12 and 17, you are invited to a 90 minute yoga class with Meg Harbin, LCSW, RYT on July 28th, from 2pm – 3:30pm. Pre-registration is required. Students can expect lessons in Occlumency (meditation) and Defense Against the Dark Arts (Asana/Poses). Whether or not you’re an Animagus, from Slytherin cobras (baby cobra pose) to howling at the moon (updog), lessons in transfiguration are sure to please. See you at Platform 9 3/4! Join Meg Harbin, LCSW, RYT for a morning of communing with nature and exploring creativity. Practice mindful walking under tree-lined paths, breathing in the towering pines while the eyes dance upon a dazzling crimson array of changing Autumn leaves in the Georgia mountains. Allow art activities with natural elements to unlock nature’s wisdom within and around you. After the workshop, you are welcome to join us for an easy 3.2-mile hike of the Mountain Creek Nature Trail. Do you wish you had people who “just get” you? Do you struggle to find friends? Is it hard to feel like you belong? Are you worried about doing and saying the “right” thing? Maybe you’re not sure how to deal with the overwhelm of school expectations and social situations? Groups will meet weekly on Tuesday nights from 7pm-8pm for 7th-9th grade girls. Older teens (15-19) will meet after from 8:15-9:15pm. We will share stories, struggles, and triumphs over team building activities, journaling & creative writing, therapeutic art exercises, and learn new ways to cope. 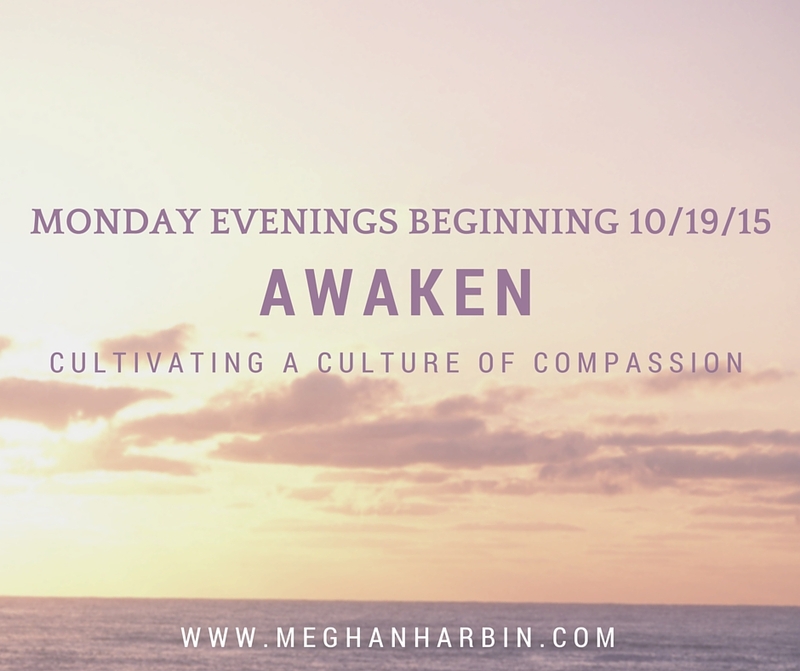 To enroll or learn more, contact Meg at 706-372-1772 or at therapy@meghanharbin.com. Intake and assessment must be completed prior to joining group. Sessions cost $50, with a 6 week commitment. Does it seem like everyone else is diving into life, but you feel stuck? Did you think you’d have it all figured out by now? Do you have high expectations but can’t seem to materialize the life you want? Are you stuck in a job you don’t want to be in forever? Have you completed most of your college degree, only to discover the major you picked isn’t really for you? Do you feel passionately that life holds more for you than what you’re currently experiencing, but unsure of which direction to turn in order to find the joy you seek? Every week I provide therapy for young adults who feel just like this. Join us for weekly group therapy for males ages 18-30 to build social connections, create deeper understanding of what you want out of life, and generate solutions for obtaining the life you deserve. Group will meet Wednesdays from 11am-12pm. Cost is $50 per session, with a 6 week commitment due up front. Pre-registration is required. Contact Meg Harbin, LCSW, RYT at 706-372-1772 or email therapy@meghanharbin.com. Anger management group for middle school students. Participants will discover the true function of emotions, uncover what is truly hiding beneath anger, and learn how to use this powerful emotion to work for them rather than struggle against it. Social skills will be taught, assertive communication will be practiced, and mindfulness exercises will be integrated to cultivate compassion for self and others. Groups will meet for six weeks, time and dates to be determined by preference of participants. Group size is limited to 8 members. Register at therapy@meghanharbin.com. Does your child seem to worry about everything? Is she quick to jump to the worst case scenarios? Does she have trouble fitting in or getting along with others her age? Does worrying about all your child’s worries keep you up at night? There is hope! This therapy group is designed for younger adolescents to help them learn skills for managing anxiety. We will combine cognitive behavioral therapy activities (to learn new patterns of thinking) with art projects (to help express those overwhelming emotions that are difficult to communicate), along with mindfulness based exercises (to ease busy minds and enjoy the present moment more fully). Participants will gain confidence and a greater sense of peace and well-being. Groups will meet for six weeks, time and dates to be determined by preference of participants. Group size is limited to 8 members. Are you exhausted at the end of the day? Do you find yourself operating on auto-pilot, going through the motions of your life? Would you like to learn to be more present and experience life more richly? Mindfulness is the practice of paying attention, on purpose, to the present moment, without judgment. Benefits of practicing mindfulness include greater equanimity, less stress, cultivation of compassion and empathy, insight, and overall well-being. Join me in a variety of mindful practices Mondays from 12:00pm – 1:00pm. Only 8 spaces available – register with Meghan Harbin, LCSW, RYT at therapy@meghanharbin.com. I wish you offered online workshops! Thanks for the feedback – it’s definitely something to consider moving forward!